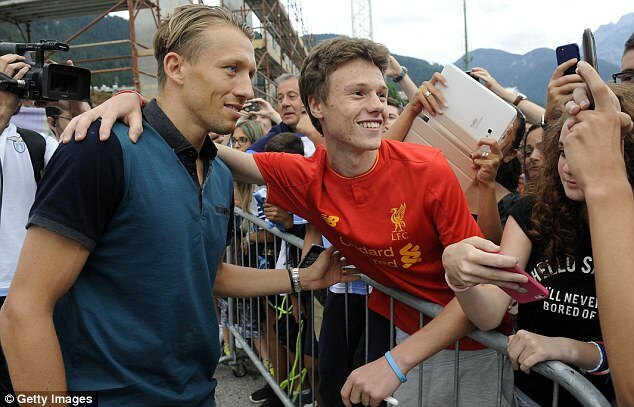 Liverpool fans are still emotional over the departure of long serving star Lucas Leiva. The Brazilian joined the Merseyside in 2007 from his home country. He used to feature for Gremio before he made his switch when Rafa Benitez convinced him to move. Of all the additions that year by the Spanish coach, Leiva was the least exciting. Israeli Yossi Benayoun was a creative force, Ryan Babel was a Dutch striker and Fernando Torres was the goal machine from Atletico Madrid. Steven Gerrard, Javier Mascherano and Xabi Alonso were the generals in the midfield so Leiva had to fight for a spot in the team from day one. The pressure from the beginning could have overwhelmed him but his resilience and calm is exceptional. He made many mistakes as he tried handling the pressure of expectations and that of his roles. There was so much controversy that Alonso had to be sold to Real Madrid as there were allegations of managerial favouritism. The team lost a lot of top players and the Reds team became rather mediocre. He moved to Anfield at the back of a Champions League title win yet the only trophy Leiva won in his ten year stay was while he was injured in 2012. Lucas was still contributing his best under Brendan Rodgers. There were reports he would leave anytime soon but various issues like injuries or a need at the club would force him to remain and he kept on dropping in the pecking order. The 30-year old decided to move to Lazio and give his last few years before he likely goes into academy management or coaching. He has the temperament and experience so he would be useful there. A return to Anfield is not out of place as he loves the club, the fans and the city.